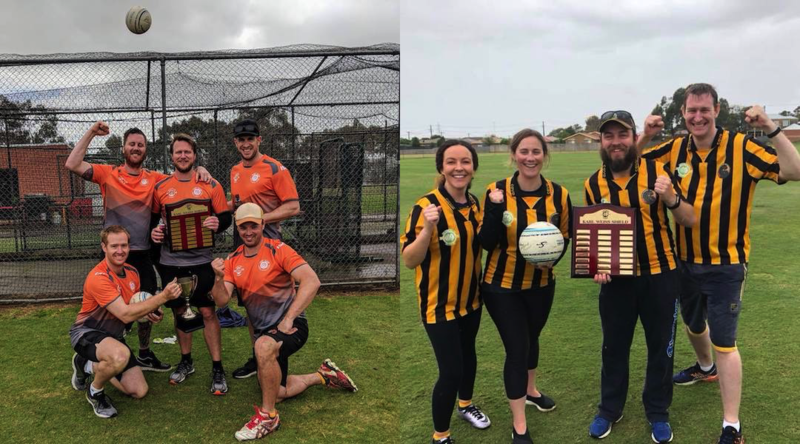 Congratulations to the 2018 VFL Champions – Fist Club (Men’s League) and Westside Wombats Fistball Club (Mixed League)! Both teams held off red-hot fast-finishing teams from The Mutts Fistball Club and Bay City Fisters respectively to win their respective Roger Willen and Karl Weiss Shields. 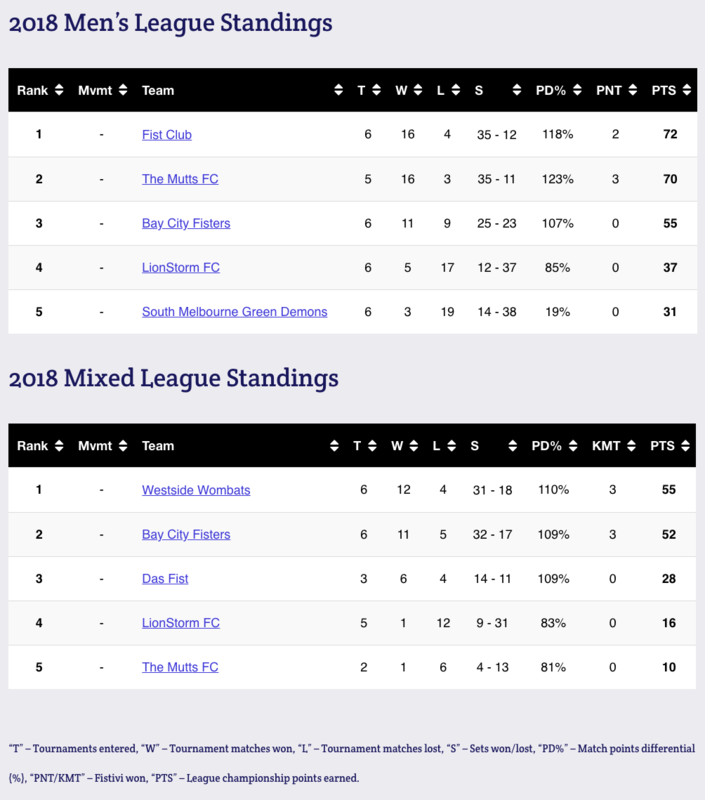 For Fist Club, it is the second time they’ll be engraving their names on a plaque, reclaiming the title back from South Melbourne Fistball Club after losing it at the very last stage in 2017. For the Westside Wombats, it will be their first Mixed League Championship after Bay City’s successful finish last year. On the day, it was the 2018 second-placed teams that won the trophies, with The Mutts continuing to dominate in the tail-end of the season for their second straight PNT, while Bay City showed off all their skilful recent recruits to claim the KMT. Lee Morony of South Melbourne and Tess Feery of Bay City claimed the B&F awards.